Chef Kwame Onwuachi is dishing on racism behind the kitchen doors of some of America's most exclusive restaurants in his new memoir, Notes From A Young Black Chef, which drops on April 9. 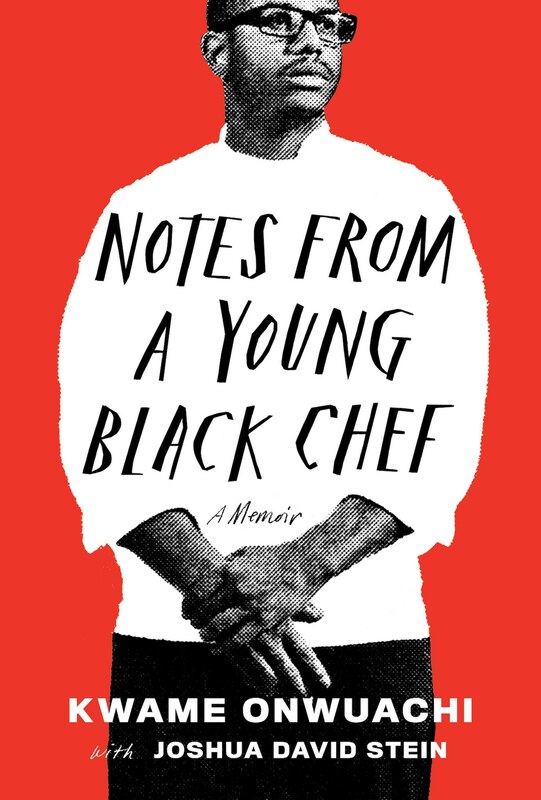 Chef Kwame Onwuachi is dishing on racism behind the kitchen doors of some of America’s most exclusive restaurants in his new memoir, Notes From A Young Black Chef, which releases in print and in audio form on April 9. Chef Onwuachi starts his story looking at his own life and how far he’s come. The day after Barack Obama became president, Onwuachi had an epiphany: he would stop dealing drugs and find his heart’s desire. And find himself Onwuachi did. That moment kickstarted who Onwuachi is today – an executive chef at Kith and Kin, an Afro-Caribbean restaurant in Washington, D.C., as well as a nominee this year for the coveted and noteworthy James Beard award. Onwuachi includes this story and more in his new memoir, Notes From A Young Black Chef. The rising star in the celebrity chef world, Onwuachi received national recognition from a stint on Top Chef. In the book, he talks about that experience, working for some top restaurants in America and opening up his own restaurant. He also discusses his formative years, growing up in in a one-bedroom apartment in the Bronx, which he shared with his mother and sister. Delicious food has always been a theme in Onwuachi’s life. His mother’s family is from Louisiana and Trinidad, and it’s no surprise that he brings bold Creole and Caribbean flavors to his meals. His father’s family is from Jamaica and Nigeria, where Onwuachi lived for two years as a child, NPR wrote. His experiences as a child surrounded by food ultimately led him to top restaurants in New York City. – first, Per Se, and then Eleven Madison Park. It also led him to discover what really goes on in the kitchens of some of America’s most exclusive restaurants – including allegations of racism.